Cannabis is a plant which is grown nearly all over the world. The hemp plants belong to the family of Cannabaceae. There are a number of species which can be found in different areas of the world. Cannabis is widely known as marijuana, which is used in the form of a drug. Marijuana or cannabis is a mind altering drug which alters the state of mind of the user. There are a lot of chemical compounds nearly about 483 compounds that can be found in the plants. The compound that triggers the psyche of the person and makes him/her delusional is called tetrahydrocannabinol or THC. This psychoactive drug is used in many ways, such as in the form of an extract and foods infused with marijuana. Marijuana is typically smoked by making a hand rolled cigarette called a joint and filling it with weed or it is also vaporized through a vaporizer. Cannabis is used for medical purposes as well. Recent studies suggest that a specific chemical compound from the hemp plant known as cannabidiol or CBD is extremely beneficial for treating various diseases. The research shows promising results on treating diseases like diabetes, treatment of epilepsy, cardiovascular diseases, mental diseases like depression and many others. The different receptors when modified accordingly can help prevent, treat and even cure diseases, according to an Israeli CEO. Cannabis or marijuana is the most common illegal drug that is trafficked all over the world. It is smuggled over borders and is sold illegally. Cannabis is grown almost everywhere, also in the United States. People in the US either use cannabis that is grown domestically or is trafficked or smuggled from countries like Canada and Mexico. 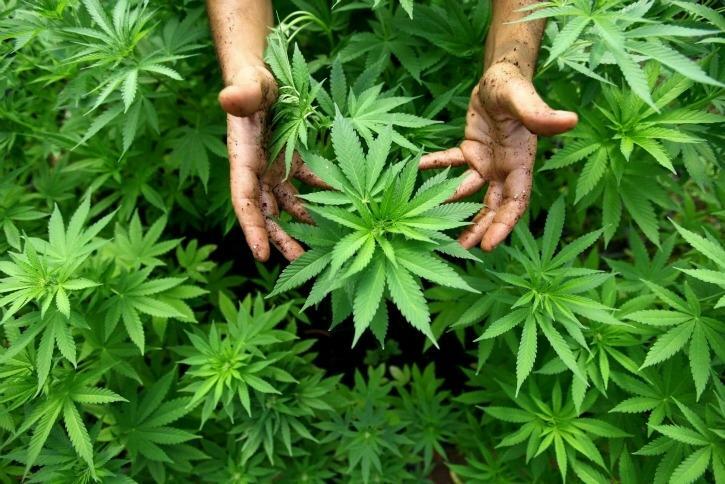 Countries that are known to produce cannabis include Thailand, South Africa, Colombia, Jamaica, Nigeria and Kazakhstan. Cannabis is illegal and banned in several countries because of its adverse effects on the body, both mentally and physically. Although it is strictly prohibited but bricks of marijuana, which is the most popular way to smuggle cannabis somehow finds its way into countries through connecting borders. Cannabis plants are very ancient and have been in use for several years. Greeks, Romans, people from the Middle East, North Africa, North America, and Chile are all familiar with marijuana. Though initially it was not used for recreational purposes as a psychoactive drug but it had other uses such as for fabric, paper, and oil, as an animal feed and for making ropes. Cannabis was first discovered in Central Asia, India and Iran but now it is grown and cultivated almost everywhere. Cannabis has been used for spiritual purposes as well. Healers have been using marijuana since a long time. In the Unites States of America, cannabis was found in the national forests. The government has destroyed nearly 3 million cannabis plants which were found in the forests. The reason the production of marijuana is so difficult is control is that it is also being cultivated in homes. South Africa is one of the largest producer of marijuana ranking third worldwide with Britain being the largest exporter. Most of the states in the United States of America have legalized medical marijuana used for medical purposes. Some states have also legalized the use of cannabis for recreational purposes as well. There is also a state which has a café where you can get deep fried marijuana leaves. There are several foods which are using cannabis as an ingredient such as in frozen yogurts. Countries like Canada and South Africa have also legalized recreational and medical use of marijuana in the year 2018.